About 4 months ago a new service called “Psychic Life Coaching” was offered. The completion of the first series of 8 powerful sessions are finished or close to finished and it’s been found that the sessions are of great benefit. One unexpected and overwhelming thing clients have told me is that they wished they came to me before it was “too late”, meaning before their situation turned sour. My clients have found their psychic life coach sessions extremely beneficial (some saying even better than traditional therapy) and I know you will too. As a professional psychic, it’s my hope that my strong suggestion to take care of a problem before it turns into a nightmare is heeded. * money, career, relationships, family, education, health, etc. * yourself and your environment more deeply. and that’s not really surprising because there’s a habit to do everything beyond expectations (note to self 🙂 so these “introductory rates” are not likely to last much longer (especially since they are far below regular psychic session and industry standard life coaching fees). Psychic Life Coaching is a preferred way of using psychic gifts because it’s more effective, productive, and long lasting especially for complex or long standing issues. Psychic Life Coaching allows for connecting with a client over a period of time so that they may achieve goals that are set and defined in an introduction session. Instead of having all the answers, the client is empowered to make their own decisions in connection to insight and recommendations given as well as powerful questions to help the client investigate reasons, thoughts, and feelings. Many times the reason for relationships going sour is a non or misunderstanding of the other person’s motivations, strengths, challenges, personality type, way of living and breathing. That misunderstanding includes the client’s lack of knowledge about themselves too. In a pyschic life coaching session we peel onion layer by layer or pull the petals away from the flower to expose the core self. Now while it’s simplest to call what I do Psychic Life Coaching, I am truly more of a Wisdom Guide in that I guide you towards and help you become more confident in your own wisdom. Subscribe to a series of 8 powerful Psychic Life Coaching sessions and experience a beautiful difference in your life. 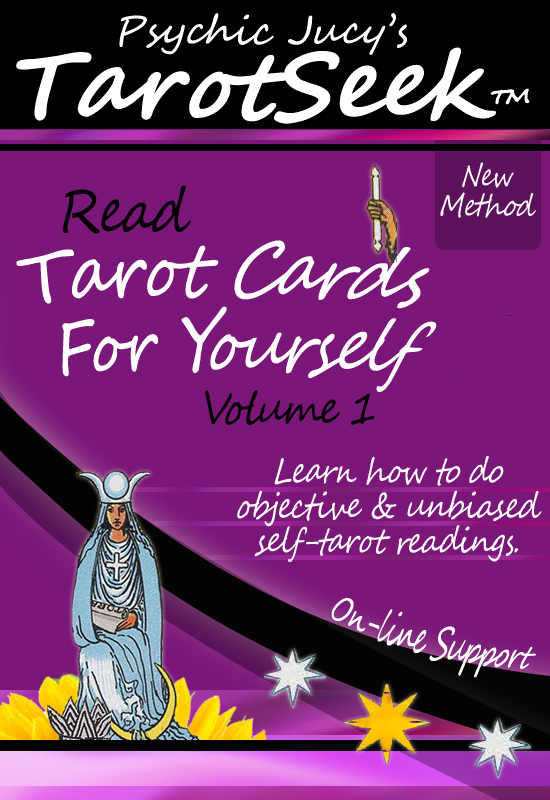 Certified Professional Tarot Reader: Does it matter? Someone asked me today if being a certified pro tarot reader meant anything. I said it didn’t mean much to me but it can mean a lot to the public which is why I got it in the first place. Being certified is something I got for the public, to ease their concerns about booking an appointment with me. It wasn’t something I got for myself. If I thought certification didn’t matter to the general public, I wouldn’t have got it. It showed I was serious about offering my services. I’m certified under the name “Abella Arthur”. I had to create a code of ethics. So I had to re-think what I wanted and didn’t want to do at the time. It showed that my peers believed I could read well, professionally. It showed I had an understanding of tarot and how it works. It showed I wanted to approach and ensure that the general public understood I wanted to do this great work in a professional manner . It showed that I honoured the tarot community and was willing to work within the rules. It doesn’t mean that I have revisited my code or that I follow it. I do, but certification does not ensure this. It doesn’t prove what type of experience I had or currently have. Was / are the readings that I had to prove I did for friends and family or were they paid readi1ngs for strangers? Sure, the certification requirements said I needed the readings to be of a quality that someone would pay for but that’s subjective. There is no standard code. It is by personal preference. While I prefer that, there are no standards for the general public to rely on. The certification shows where I was at the time. As well as doing readings, I’m now an instructor and write about tarot yet I do not “currently” see the need to upgrade my status *officially*. If I get certified, it won’t show that I’m any less or more of an instructor or tarot author. It doesn’t show that I’m in good standing with the certifying body. * Some governments require that a reader or psychic be licensed or certified; however, to my understanding they don’t go through any hoops or hurdles (except for paying for the license, etc.) to indicate they are accurate or abiding by professional standards of conduct and service. There’s probably more pros and cons and I’m open to hearing them. But at this time, No, I don’t think it matters if a reader is certified if someone is wanting to know if a reader is “accurate” and in the end, that’s what most seekers want (in a reading) — accuracy. Certification does have its benefits but there is no ultimate security that a certified reader makes for a better reader.